You may all have sometimes experienced the mild ringing of our ears or various other sounds that affect you so much. This sizzling or ringing sound in the ears is tinnitus which may or may not be constant or intermittent. It may usually occur in both or single one as well. Tinnitus is an annoying condition which directly or indirectly affects your various daily activities and may sometimes cause difficulty in hearing, working, concentrating, and sleeping too. The problem of tinnitus can be related to age, ear injury, or infection, exposure of your ear to loud noise, high altitudes, upper respiratory infections, earwax blockage, vitamin and mineral deficiencies, ear bone changes and much more. Tinnitus may sometime also arise due to the reason for some diseases like low or high blood pressure, diabetes or various circulatory disorders also. It may also occur sometimes when some of the water during bathing may get enters your years. While it sometimes gets difficult to find the exact cause of tinnitus but there are various natural remedies which you can efficiently use to reduce this problem. Tinnitus home remedies really work and help in getting rid of the problem of ringing sounds in the ears most efficient and affordable. Here, in this content, we are going to discuss 5 best home remedies for tinnitus problem which works efficiently against this issue. Basil is one of the most effective and readily available home remedies for treating tinnitus. Basil includes various antibacterial properties which fight with the bacteria causing the problems and helps in providing your relief from the ear pain. The thing you have to do is to extract the juice of basil leaves by crushing or blending them and then putting three or four drops of warm (tolerable) basil juice slightly into the ear. Repeat the process twice daily for at least three of four days. It is one of the other and most effective ways of to getting rid of the problem of tinnitus. It is best to use in areas having high altitudes or cold weather. Garlic includes various antibacterial properties which help in reducing ear pain and also helps in improving your blood pressure. Just crust garlic cloves in one tablespoon of sesame oil and cool down it to a tolerable temperature. Then add three or four drops of it into the ear. Ginkgo Biloba is also known as maidenhair tree. It is one of the best remedies for getting rid of the problem of tinnitus and improving blood pressures. This wonderful herb includes antibacterial and antifungal properties which help you in treating various infections. You can easily find this herb in places which are at higher altitudes and where the climatic conditions are icy like Kashmir and Srinagar. You can quickly get this drug from herbal drug stores. Only use 120 or 240 mg of this drug in 6 to 12 percent terpenoids. Take about three or four doses daily for about six weeks to get rid of the problem permanently. You can easily find ginger in every Indian Kitchen. Ginger includes various medicinal and healing properties which help in getting rid of the pathogens causing tinnitus and fight free radicals. The only thing you have to do for it is to add one-half teaspoon of grated ginger in a cup of warm water – allow it to set for about 10 minutes – add little honey – take this herbal tea two or three times daily. 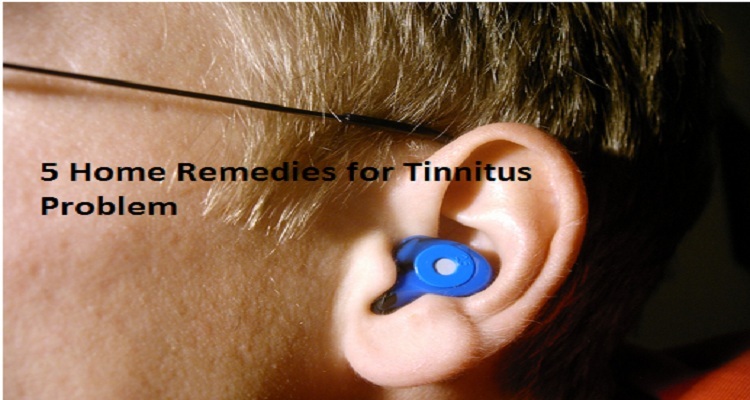 It is another best home remedy for tinnitus which also helps in increasing the circulation. Mustard oil is a beautiful natural remedy which includes various antifungal and antibacterial properties which help in treating ear infections. Mustard oil also helps in enhancing our immune system and aids in the deposition of ear wax. You can use this home remedy by slightly warning the mustard oil and then put it drop by drop into the year. Just keep it for about 10 minutes and then tilt the ear and let the oil drained out of the ear. Tinnitus is the most common ear problem which everyone could easily have. We prefer you to go for various home remedies for treating these issues as these are most effective and gives you instantaneous and last long results. If you have some serious problems like numbness on one side of the face, vertigo, loss of balance, nausea and much more then don’t wait too far and concern the doctor immediately.